BACK ON MARKET...Buyers financing fell through. Check out this nice ranch in a desirable, convenient area. Only minutes from shopping, restaurants, expressways & hospitals. Living Room, hall and 3 bedrooms with hardwood flooring. Eat in Kitchen with maple cabinetry and tile flooring. Door in dining room leading to large deck and a really good size fenced backyard. Full basement that is partially finished with spacious family room and another room which could be a fourth bedroom but doesn't have a closet. Laundry in the basement. Attached oversized one car garage and glassed in sun porch. Double driveway and sidewalks. Short sale and home warranty is offered if approved by Wells Fargo. Home SOLD AS IS but should be able to finance on a FHA loan. Night before notice to show is appreciated. Brookhaven is a subdivision within the city of Louisville, Kentucky. There are currently 1 Homes for Sale within Brookhaven, with asking prices ranging from $298,000 to $298,000. The average list price per square foot of the available inventory in Brookhaven is $140, which is below the Louisville average of $155. The Average Sales price of all sold real estate in this subdivision for the past year is $187,705. Recent comparable homes have been selling for 98.49% of their asking price. Waterfront homes represent 0.00% of the available Brookhaven inventory. The population of Louisville, according to the 2010 Census, is 597,337. The total number of households in the zip code of Brookhaven is 14,512, with an average household size for of 2.23 people. The total number of renter households within the zip code of 40220 is 5,216, which means that 64.06% of households in this zipcode are owner occupant households. 2914 Edmonia Ave, Louisville KY 40220 is a Home, with 3 bedrooms which is recently sold, it has 1,551 sqft, < 1/2 ACRE sized lot, and 1 Car Garage,Attached,Driveway,Entry Front parking. A comparable Home, has 4 bedrooms and 2.5 baths, it was built in and is located at 2437 PARKDALE Ave Louisville KY 40220 and for sale by its owner at $ 298,000. 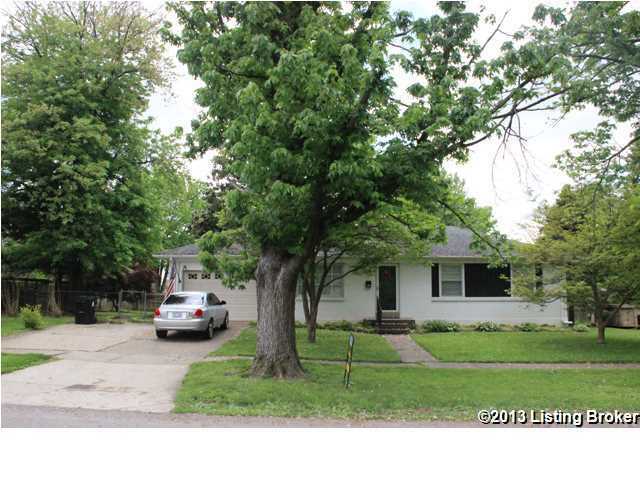 This home is located in the city of Louisville , in zip code 40220, this Jefferson County Home, it is in the BROOKHAVEN Subdivision, and Stony Brook Woods are nearby neighborhoods.